What Have We Learned About Using Dispersants During the Next Big Oil Spill? This is the eighth in a series of stories over the coming weeks looking at various topics related to the response, the Natural Resource Damage Assessment science, restoration efforts, and the future of the Gulf of Mexico. APRIL 20, 2015 -- Five years ago, in the middle of the response to the Deepwater Horizon oil spill, I was thrown into a scientific debate about the role of chemical dispersants in response to the spill. Dispersants are one of those things that are talked about a lot in the context of oil spills, but in reality used pretty rarely. Over my more than 20 years in spill response, I've only been involved with a handful of oil spills that used dispersants. But the unprecedented use of chemical dispersants on and below the ocean's surface during the Deepwater Horizon oil spill raised all sorts of scientific, public, and political questions. Questions about both their effectiveness in minimizing impacts from oil as well as their potential consequences for marine life in the Gulf of Mexico. Did we understand how the ingredients and components of the dispersants behave? How toxic are they? What are the potential risks of dispersants and do they outweigh the benefits? We knew the flood of questions wouldn't end when the gushing oil well was capped; they would only intensify the next time there was a significant oil spill in U.S. waters. NOAA, as the primary scientific adviser to the U.S. Coast Guard, would need to keep abreast of the surge of new information and be prepared to answer those questions. Five years later, we know a lot more, but many of the scientific, public, and policy questions remain open to debate. Dispersants are a class of chemicals specifically designed to remove oil from the water surface. 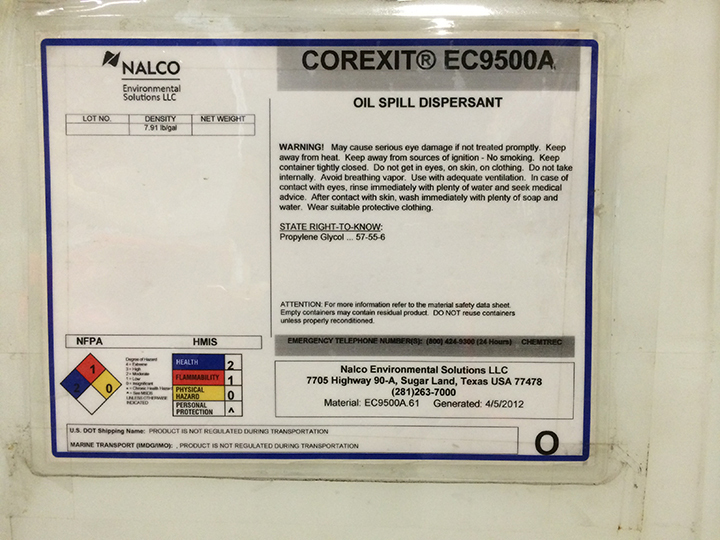 One commonly used brand name is Corexit, but there are dozens of different dispersant mixtures. They work by breaking up oil slicks into lots of small droplets, similar to how dish detergent breaks up the greasy mess on a lasagna pan. These tiny droplets have a high surface area-to-volume ratio, making them easier for oil-eating microbes to break them down (through the process of biodegradation). Their small size also makes the oil droplets less buoyant, allowing them to scatter throughout the water column more easily. Why Does Getting Oil off the Ocean Surface Matter? Oil slicks on the water surface are particularly dangerous to seabirds, sea turtles, marine mammals, sensitive early life stages of fish (e.g., fish eggs and embryos), and intertidal resources (such as marshes and beaches and all of the plants and animals that live in those habitats). Oil, in addition to being toxic when inhaled or ingested, interferes with birds' and mammals' ability to stay waterproof and maintain a normal body temperature, often resulting in death from hypothermia. Floating oil can drift long distances and then strand on shorelines, creating a bigger cleanup challenge. However, applying dispersants to an oil slick instead shifts the possibility of oil exposure to animals living in the water column beneath the ocean surface and on the sea floor. We talk about making a choice between either protecting shorelines and surface-dwelling animals or protecting organisms in the water column. But during a large spill like the Deepwater Horizon, this is a false choice. No response technology is 100 percent effective, so it's not either this or that; it's how much of each? If responders do use dispersants, some oil will still remain on the surface (or reach the surface in the case of subsurface dispersants), and if they don't use dispersants, some oil will still naturally mix into or remain in the water column. Why Don't We Just Clean up Oil with Booms and Skimmers? Cleaning up oil with mechanical response methods like skimmers is preferable because these vessels actually remove the mess from the environment by skimming and collecting oil off the water surface. And in most spills, that is all we use. There are thousands of small and medium-sized spills annually, and mechanical cleanup is the norm for these incidents. But these methods, known as "mechanical recovery," can only remove some of the oil. Under ideal (rather than normal) circumstances, skimmers can recover—at best—only around 40 percent of an oil spill. During the Deepwater Horizon oil spill response, skimmers only managed to recover approximately 3 percent of the oil released. Dispersants generally are only considered when mechanical cleanup would be swamped or is considered infeasible. 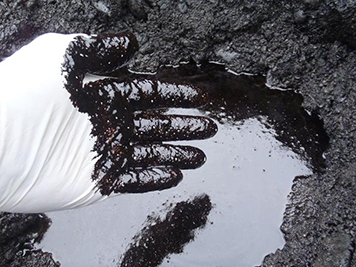 During a big spill, mechanical recovery may only account for a small percentage of the oil. Booms (long floating barriers used to contain or soak up oil) and skimmers don’t work well in rough seas and take more time to deploy. Booms also require constant maintenance or they can become moved around by wind and waves away from their targeted areas. If they get washed onto shore, booms can cause significant damage, particularly in sensitive areas such as marshes and wetlands. Aircraft spraying dispersant are able to treat huge areas of water quickly while a skimmer moves very slowly, only one to two miles per hour. In the open ocean spilled oil can spread as fast, or faster, than the equipment trying to corral it. Well, researchers are trying to develop more effective response tools, including safer dispersants. And the questions surrounding the potential benefits and risks of using dispersants in the Gulf of Mexico have led to substantial research in the Gulf and other waters at risk from spills, including the Arctic. That research is ongoing, and answering one question usually leads to several more. Unfortunately, however, once an oil spill occurs, we don’t have the luxury of waiting for more research to address lingering scientific and technical concerns. A decision will have to be made quickly and with incomplete information, applied to the situation at the moment. And if, during a large spill, mechanical methods become overwhelmed, the question may be: Is doing nothing else better than using dispersants? That summer of 2010, in between trips to the Gulf and to hearings in DC, we began to evaluate the observations and science conducted during the spill to build a foundation for planning and decision making in future spills. In 2011, NOAA and our partners held a national workshop of federal, state, industry, and academic scientists to discuss what was known about dispersants and considerations for their use in future spills. You can read the reports and background materials from that workshop. That was not the only symposium focused on dispersant science and knowledge. Almost every major marine science conference over the past five years has devoted time to the issue. I've been involved in workshops and conferences from Florida to Alaska, all wrestling with this issue. Now, five years later, many questions remain and more research is coming out almost daily, including possible impacts from these chemicals on humans—both those active in the response as well as residents near the sites of oiling. Keeping up with this research is a major challenge, but we are working closely with our state and federal partners, including the U.S. Environmental Protection Agency and Coast Guard, as well as those in the academic community to digest the flow of information. The biggest lesson learned is one we already knew. Once oil is spilled there are no good outcomes and every response technology involves trade-offs. 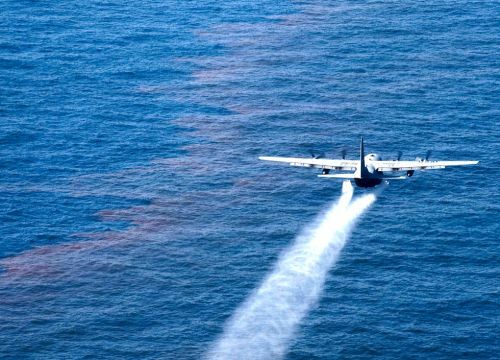 Dispersants don't remove oil from the environment, but they do help reduce the concentration of the oil by spreading it out in the water (which ocean currents and other processes do naturally), while also increasing degradation rates of oil. They reduce the amount of floating oil, which reduces the risk for some organisms and environments, but increases the risk for others. We also know that some marine species are even more sensitive to oil than we previously thought, especially for some developmental stages of offshore fish including tuna and mahi mahi. But we also know, from the Exxon Valdez and other spills, that oil on the shore can persist for decades and create a chronic source of oil exposure for birds, mammals, fish, and shellfish that live near shore. We don't want oil in the water column, and we don't want oil in our bays and shorelines. Basically, we don't want oil spills at all. That sounds like something everyone can agree with. But until we stop using, storing and transporting oil, we have the risk of spills. The decision to use dispersants or not use dispersants will never be clear cut. Nor will it be done without a lot of discussion of the trade-offs. The many real and heart-felt concerns about potential consequences aren’t dismissed lightly by the responders who have to make tough choices during a spill. I am reminded of President Harry Truman who reportedly said he wanted a one-handed economist, since his economic advisers would always say, "on the one hand...on the other." By Doug Helton, NOAA's Office of Response and Restoration Incident Operations Coordinator.